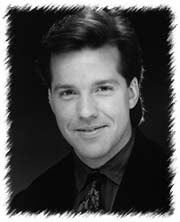 Jeffrey Dunham was born on 18 April 1962, in Dallas, Texas USA, and was adopted within three months by Howard and Joyce Dunham. Jeff is an actor, screenwriter, and a film producer, but is probably best known for his stand-up comedian/ventriloquist act which he has displayed on numerous TV shows during a career spanning more than 30 years. So just how rich is Jeff Dunham? Currently, Jeff ‘s net worth is estimated to be $45 million, and according to Forbes’ list of richest people, Dunham earned $23 million in 2009, and in 2010 added $20 million more to his net worth; Dunham’s average yearly salary is estimated to be $9 million. Dunham began learning ventriloquism seriously at the age of eight when his parent bought him a dummy, and six years later in 1976, made his first television appearance on a local news story. Dunham then began performing for audiences at schools, churches and even a “Six Flags” amusement park. During the period from 1983 to 1984, even while at college Dunham was making approximately $70,000 a year and, as his fame rose, he was even featured as an opening act for such performers as Bob Hope and George Burns. In 1985, Dunham was asked to join a Broadway show entitled “Sugar Babies” with Ann Miller and Mickey Rooney, and even performed at the Westbury Music Fair on Long Island. Dunham’s big break occurred in 1990, when he was invited to appear on “The Tonight Show Starring Johnny Carson”, which was his long-lived dream. Dunham’s comedic act impressed not only the host but the audience as well, and Dunham followed this successful TV appearance with a solo performance on the Comedy Central, and subsequently during his career starred in a variety of TV shows, such as “Any Day Now”, “30 Rock” with Alec Baldwin and Tracy Morgan, “One on One”, and “She Spies”. All added considerably to Jeff’s net worth. In addition, Jeff Dunham has released a number of one hour specials, including “Jeff Dunham: Arguing With Myself” and “Jeff Dunham: Spark of Insanity”. Dunham’s Christmas special, followed by a music album “Don’t Come Home for Christmas”, had the highest show ratings in the history of Comedy Central. These impressive television appearances have significantly contributed to Jeff Dunham’s $45 million net worth, annual salary, as well as commercial success. In 2009, Dunham signed a deal with Comedy Central that included a stand-up special to air in 2010, various consumer products partnerships, a tour of 60 cities, DVD releases, and the establishment of a self-titled sketch comedy TV show. The show premiered in 2009 and featured Jeff Dunham performing ventriloquism acts with some of his popular characters, such as Walter, Achmed the Dead Terrorist, Peanut, and Sweet Daddy Dee. Despite a successful premiere of the show, and initially higher than average rankings, “The Jeff Dunham Show” was cancelled after only one season due to poor reviews and high production costs. Jeff Dunham has also written an autobiographical book entitled “All By My Selves: Walter, Peanut, Achmed and Me” published in 2010. In his personal life, Jeff Dunham was married to Paige Brown(1994-2008) and they have two daughters plus one adopted from her previous marriage. Jeff has been married to Audrey Murdick since 2012, and they ae said to be expecting twins in late 2015. I LOVE HIM & HIS BUDDIES!! Please do check him out & ENJOY! !